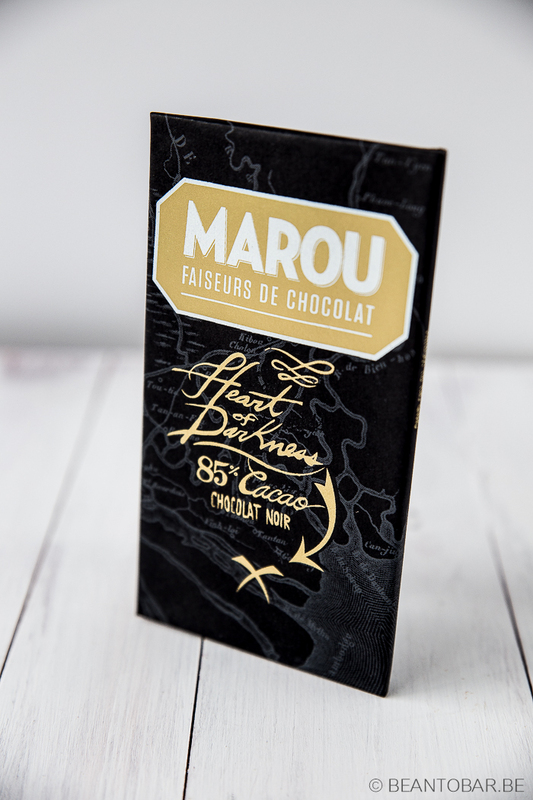 Marou is one of the brands who surprised me big time when I first learned about fine chocolate. During a tasting session, their Ben Tré bar really stood up amidst many other nice chocolates, due to it’s distinct and unique flavors. The company has come far over the recent years. Vincent Mourou and Samuel Maruta, who started as two adventurous French entrepreneurs in Vietnam ran a small scale operation. By now, they run a small chocolate empire. There is no way around Marou when you are into bean to bar chocolate. Just follow them on social media and you will see how they go about, create a buzz all over the world and invite many many chocolate related people to their cocoa operation in Asia. Marou is know for working closely with their farmers and collect the cocoa directly from the point of cultivation. Vietnam origin cocoa recently draws more and more attention to itself. Different chocolate makers have discovered the amazing flavors the beans have to offer in abundance. Yet not every one of these chocolatiers seems to be able to capture them in the final product. Here we have an 85% bar on the table. A high cocoa percentage. Past experiences showed me it seems tricky to obtain a good balance between texture and flavor when rising above 80%. I was more than thrilled to be experience one of Marou’s latest creations, made by the people who have set Vietnam firmly on the chocolate map. 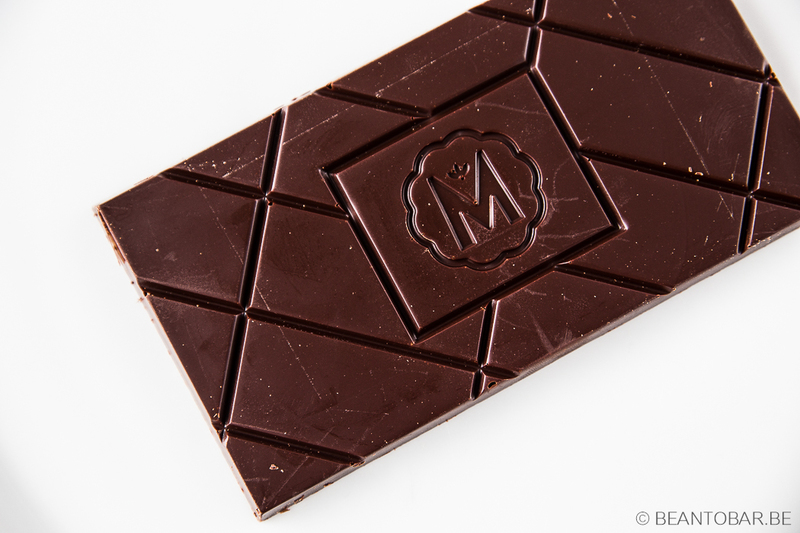 For this bar, Marou uses cocoa grown in the Mekong Delta, on the island of Tan Phu Dong. Situated in the Eastern part of Vietnam, close to the Ben Tré region. The package moves away from the classic Marou style. Gone are the vibrant colors, representing the color of the cocoa pods used for the bar. No more Vietnamese artwork. This bar is wrapped in thick, intensely dark paper. The name? Heart of darkness. It is clear from the wrapper, this bar is not a lightweight chocolate. The gold imprint makes the text perfectly readable against the dark background. A map of the Mekong Delta come forth from the background. A big golden arrow points to an X. This is the place the cocoa was grown. X marks the spot. Such eye for detail. Information perfectly blended into the design of the wrapper. You can’t help but love it. On the back, more info on the chocolate in the form of a small review, written by Lawrence Osborne – Author of “The Forgiven”. Research revealed him to be a British author with residence in Bangkok, who also wrote about the company’s chocolate for the New York Times. The bar is further wrapped in the typical golden foil with small Marou sticker. Dark, brown and enticingly aromatic, the chocolate appears in all it’s glory. The mold remains the classic design we know from Marou. Scored in diagonal pieces with a big “M” logo in the middle. Fabulous. It shines beautifully and invites you to discover the flavors locked within. Aroma: Sweet, spices, chili pepper, ginger, ripe banana, chocolate. Hard to resist. Taste: A surprising sweet start preludes tones of roasted coffee. A honey like sweetness remains present while the aroma builds towards a spice infused chocolate. Gingerbread – cinnamon – a hint of chili pepper without the heat pop up clearly. While subsiding, a dash of sweet coconut pops up and carries the flavor over to a slight rise of tannins. When the chocolate has melted all the way, a satisfying aftertaste emerges. A reminiscence of coconut and ginger. Tropical with a dark, Asian heart. What has struck me the most, is the gentle and complex character of the bar. And the great texture. Smooth without being clingy. Lively on the palate, meaning a high level of cocoa solids and a low amount of cocoa butter being used. 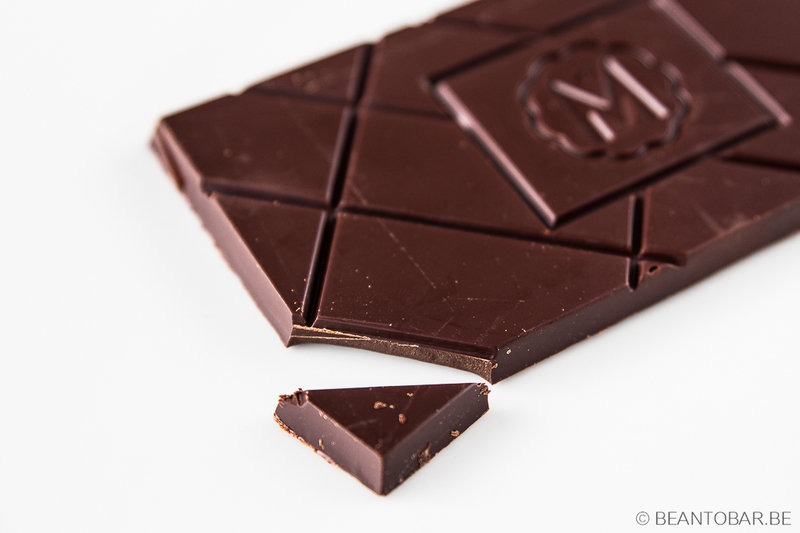 This bar once more shows the skill of Marou to create satisfying, complex chocolates. They capture flavors that are very different from other regions and truly bring an Asian style to fine chocolate. I’ll be more than sorry when the bar is gone.